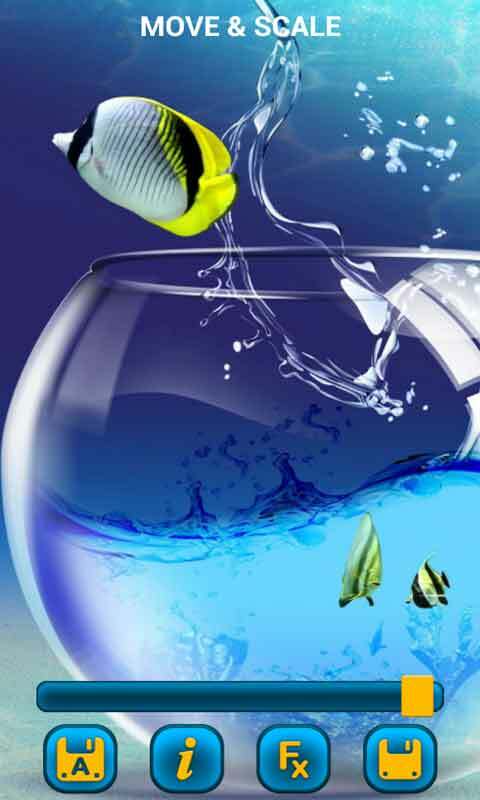 Swimming fish on your wallpaper! 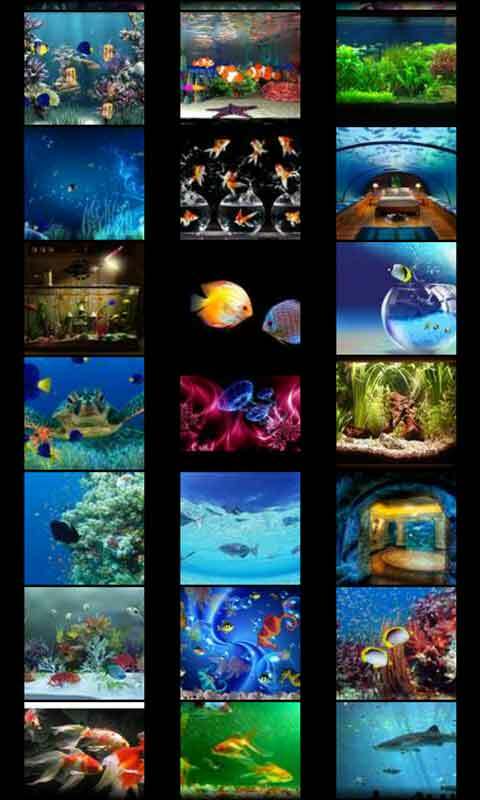 Browse through many beautiful aquarium pictures to find the most appealing one and give your phone a brand new look. Feel free to customize it the way you like and make the perfect background for your phone. Download this app right now! - Easy-to-browse interface enables you to find the desired background in no time! - Customize the wallpaper to fit your taste and screen! - Zoom, un-zoom, rotate, move, scale, adjust brightness, add various effects and save your design! 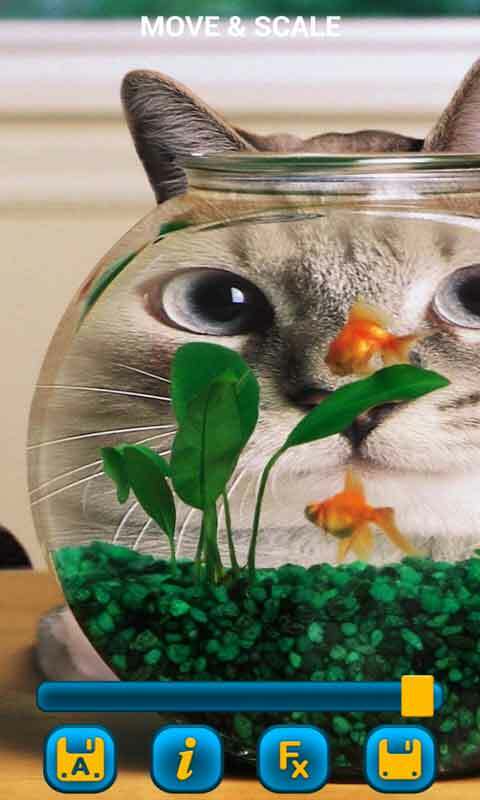 An aquariumconsists of at least one transparent side in which water-dwelling plants or animals are kept. The keepers use aquaria to keep fish, invertebrates (animals that do not have a backbone) , amphibians, marine mammals, turtles, and aquatic plants. 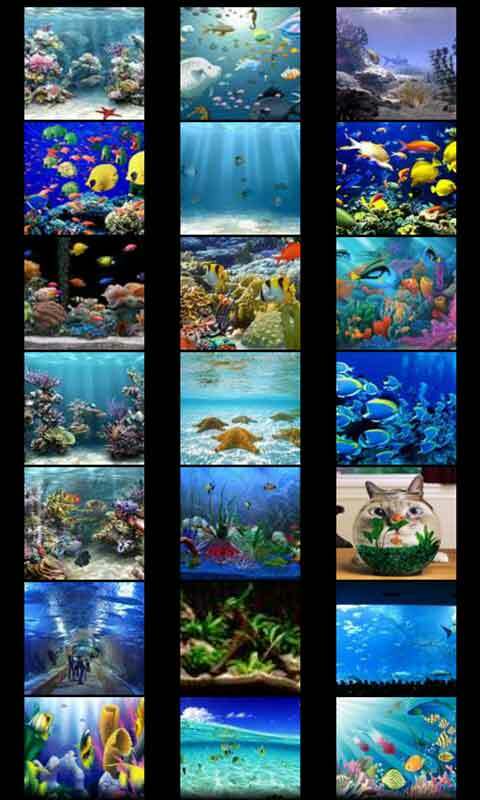 An aquarist maintains an aquarium, typically constructed of glass or high strength acrylic plastic. Cuboid aquaria are also known as tanks, while bowl-shaped aquaria are also known as bowls.